I’m in the process of some spring cleaning. Cleaning out the beer frig and beer cabinet of all those beers that I have not gotten around to reviewing. Some of these have been hanging around since last fall. As I finally go to post this lost review I realize that I really did lose the pictures. The beer pours a clear copper with amber hues and a very modest off white head. The nose is nice with sweet caramel malt aromas with some grassy notes. Not a bad first sip. 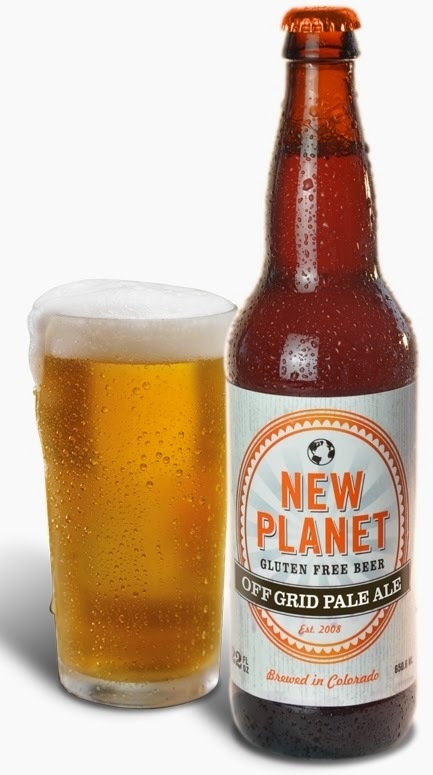 This is not a great APA but it’s a fantastic gluten-free beer. The taste starts out with a touch of sweetness up front followed by a cleansing effervescence over the tongue in the middle of the sip. There is a slight building hop robustness toward the back-end that adds a slight hesitation on the top of the swallow. The finish is a little harsh with not your typical malt flavors but otherwise very pleasant and much better than most Gluten Free beers. There is also a nice hop bite on the finish. I’m not going to give this a rating but this is probably the best Gluten Free beer that I have had so far.